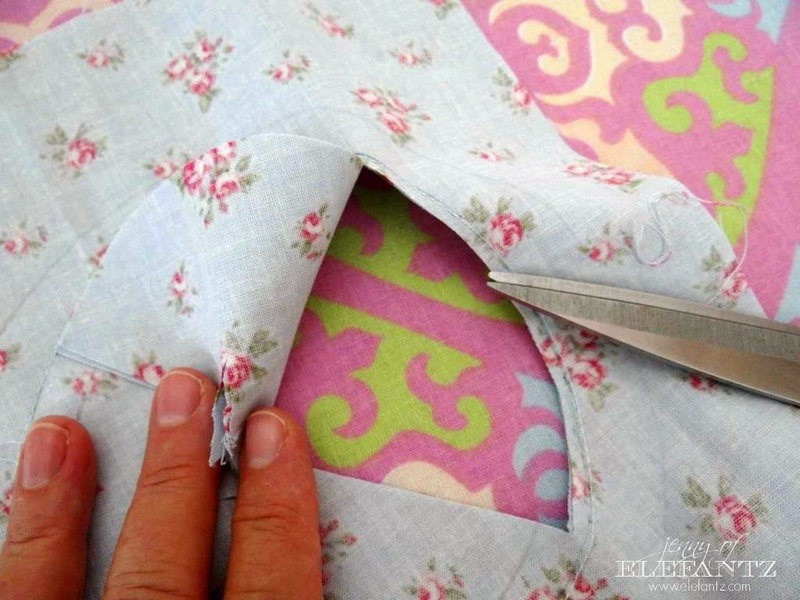 Jenny of ELEFANTZ: TUTORIAL - that pretty fabric window! 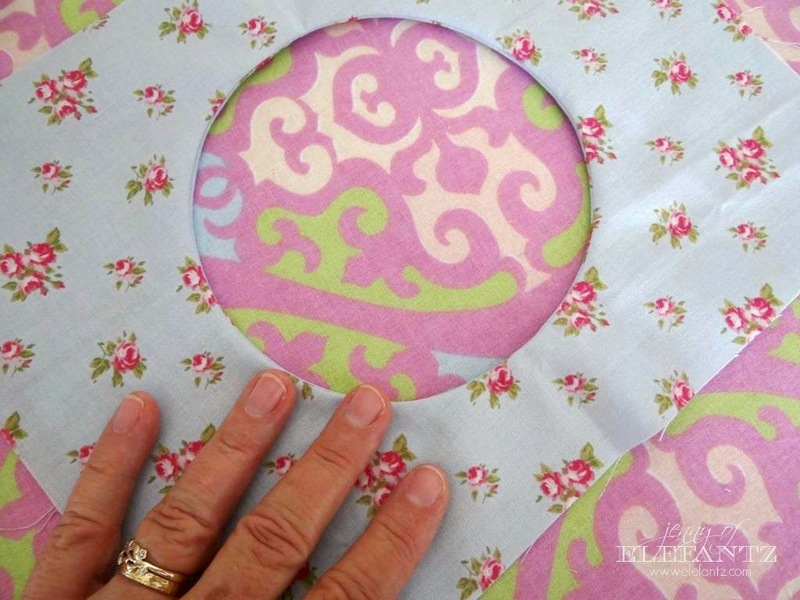 TUTORIAL - that pretty fabric window! As promised the other day I am going to show you how I made the sweet fabric window that allowed one of my orphan UFO blocks to shine! 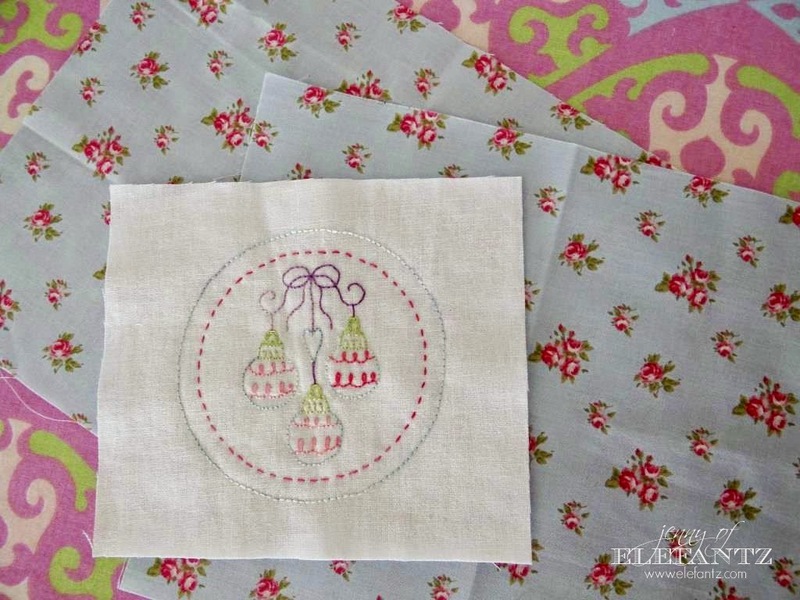 I'll take you through the steps to make your own fabric window but it's up to you how you choose to display it in a project. 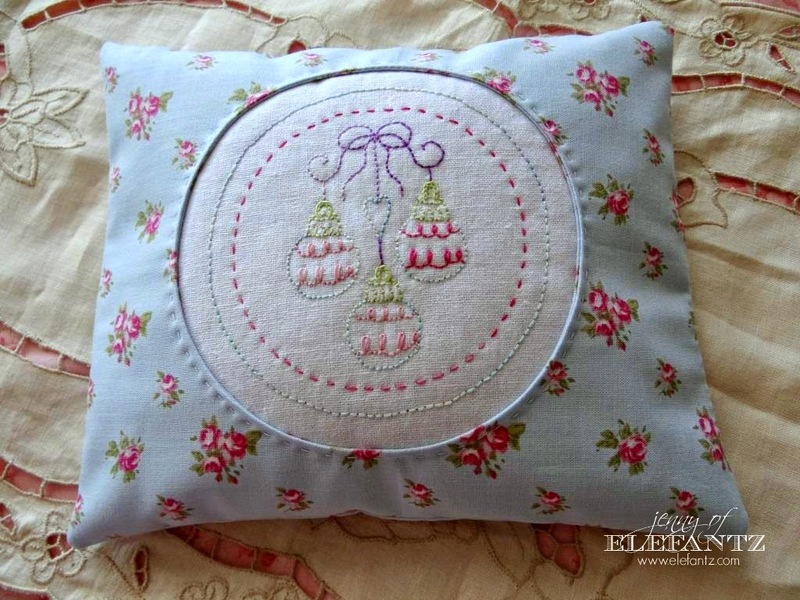 Mine became a very precious Christmas pin cushion. Can't wait to use it! 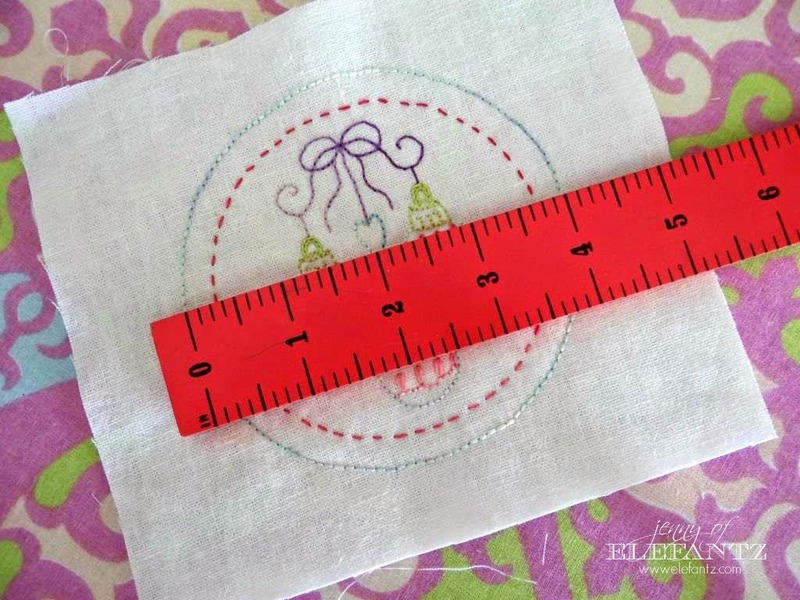 You need a circular shape about ½” to 1" wider than the stitchery. 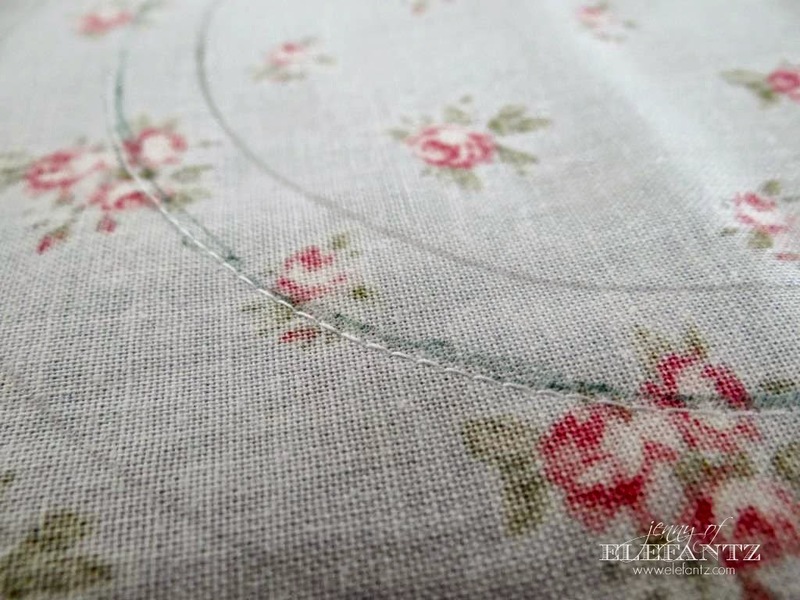 This could be a bowl, plate, mug, the inside of an embroidery or quilting hoop - anything that you can trace a circle from. 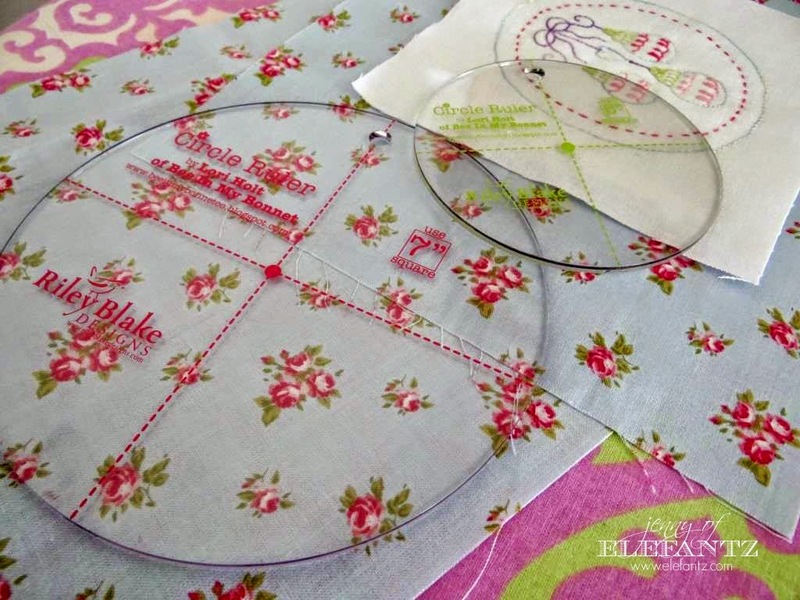 I have a set of circular quilting rulers, but this stitchery was too small to fit inside of one, and too large for the other, so I had to improvise. Now you may not need to do this but it is probably beneficial that I show you how I overcame my dilemma, ok? 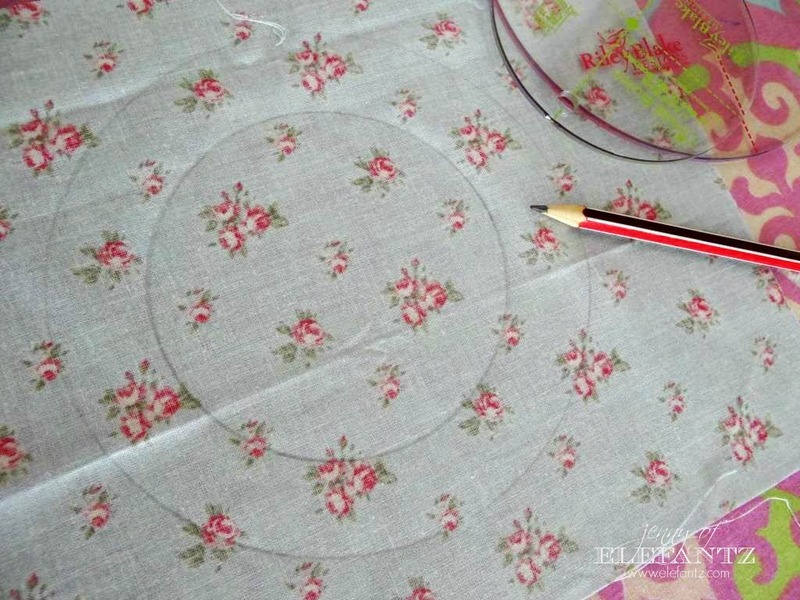 On the back of one piece of feature fabric trace your circle. Thank you for the tutorial...its lovely!! 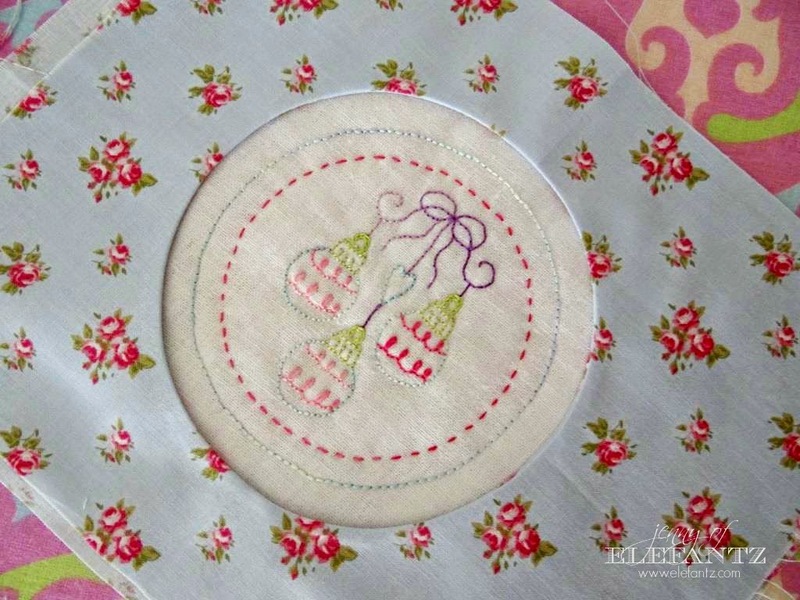 I love this tutorial, I do lots of needlework and the round circle makes it all so neat. That is so pretty. I am going to have to put that on my to make list. Thanks for the tutorial, Jenny. 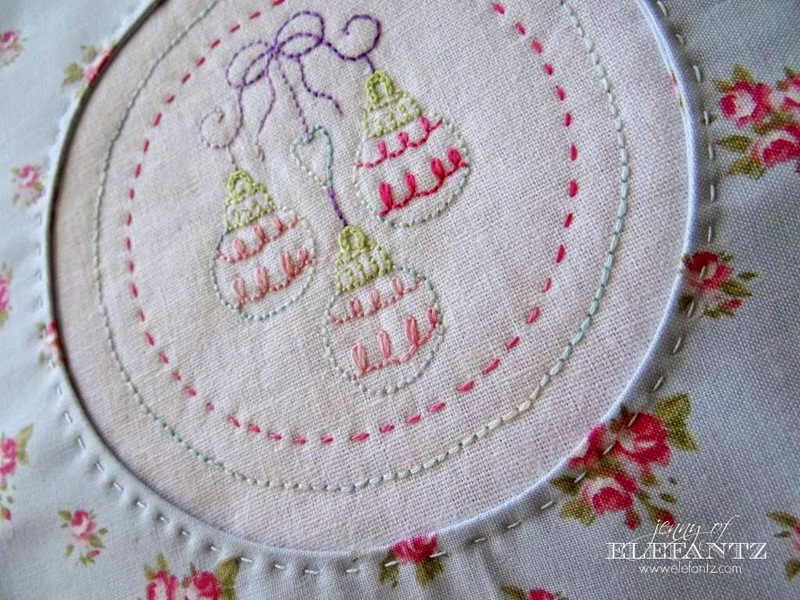 Blossum's little stitchery is gorgeous. It looks even better now that it's in your cushion. Pretty clever, Jenny!! I can think of a dozen uses for this technique! Thanks so much. 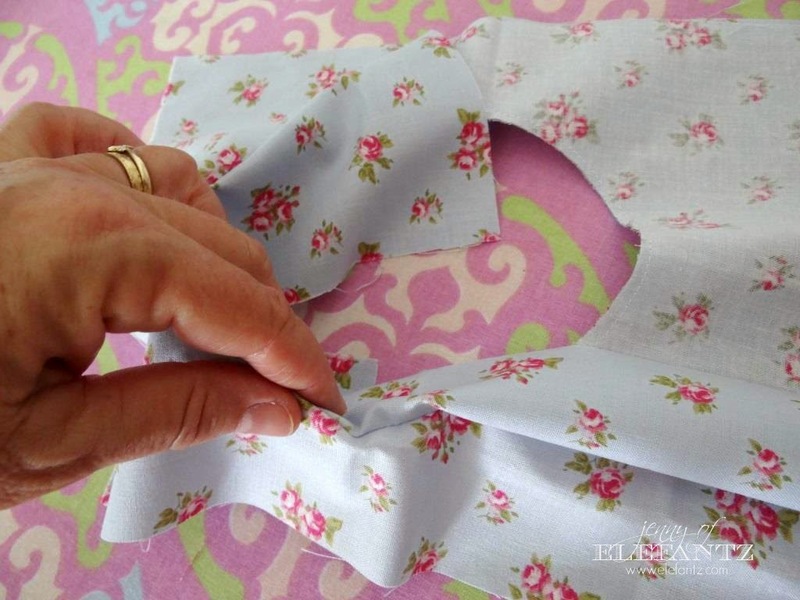 I've always wondered how to do this and your tutorial is brilliant, so clear and easy to understand. Thank you so much for the beautiful comment you left on my blog today - you are the sweetest person ever. 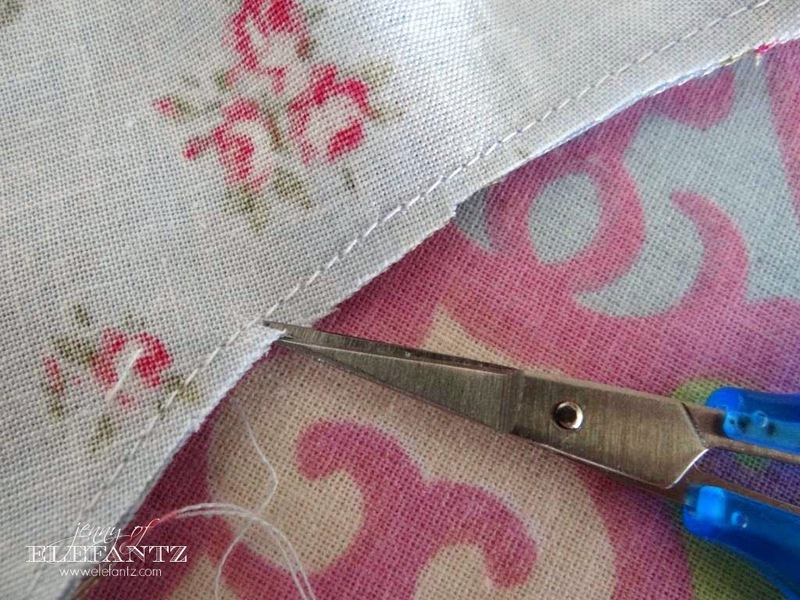 Hi Jenny, thanks so much for sharing this great tutorial. I must confess I would never have known this was how you do it but you are sooo right ... it is easy. I look forward to giving this a go. Thanks for the tutorial, Jenny. 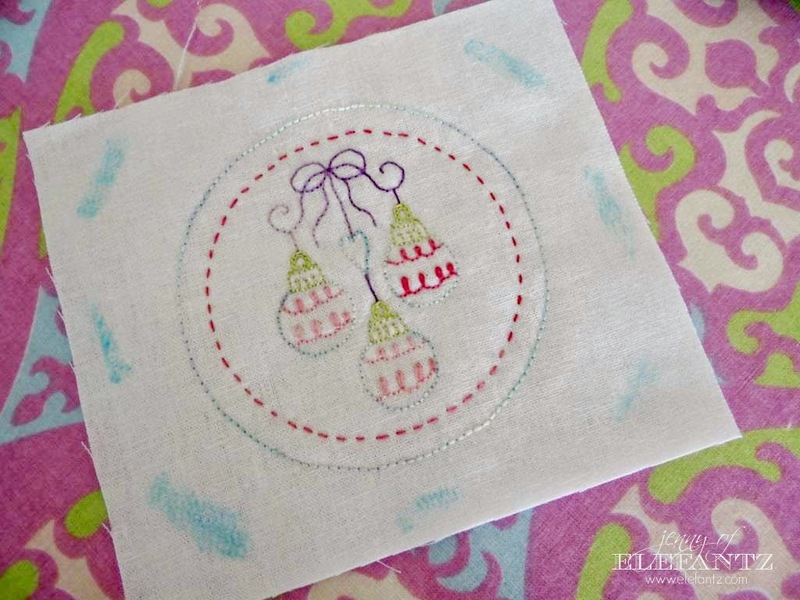 My favorite is the original one where you used the fabric with the beaded embellishment! Lovely, thank you! 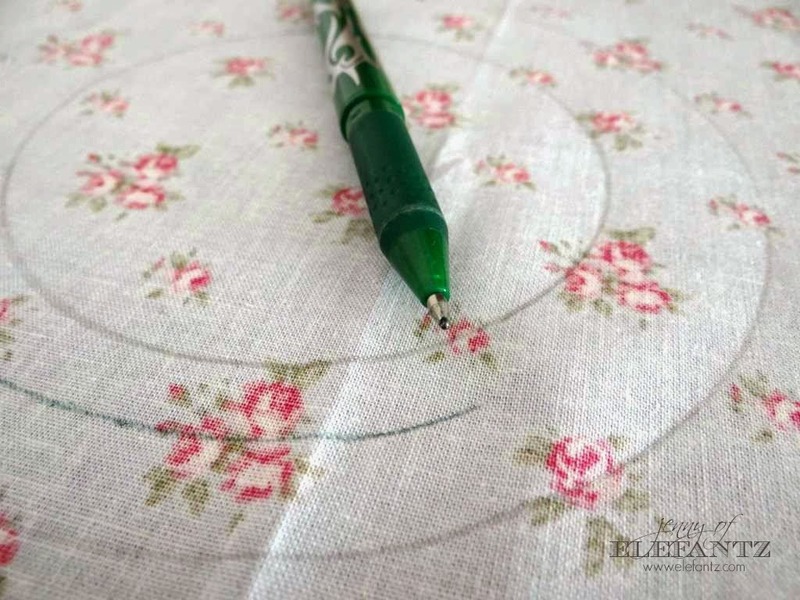 Why don't you use the frixion pen for tracing stitcheries? 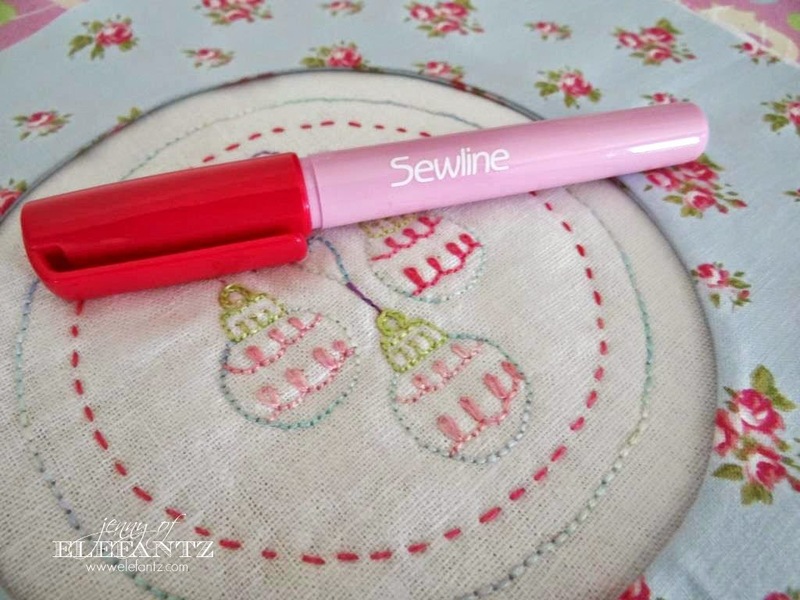 I usually use them for marking things when sewing and then iron it, and the lines disappear. Did you have bad experiences with them or what is your reason? I don't want to ruin sg if this would be the case... Thanks! 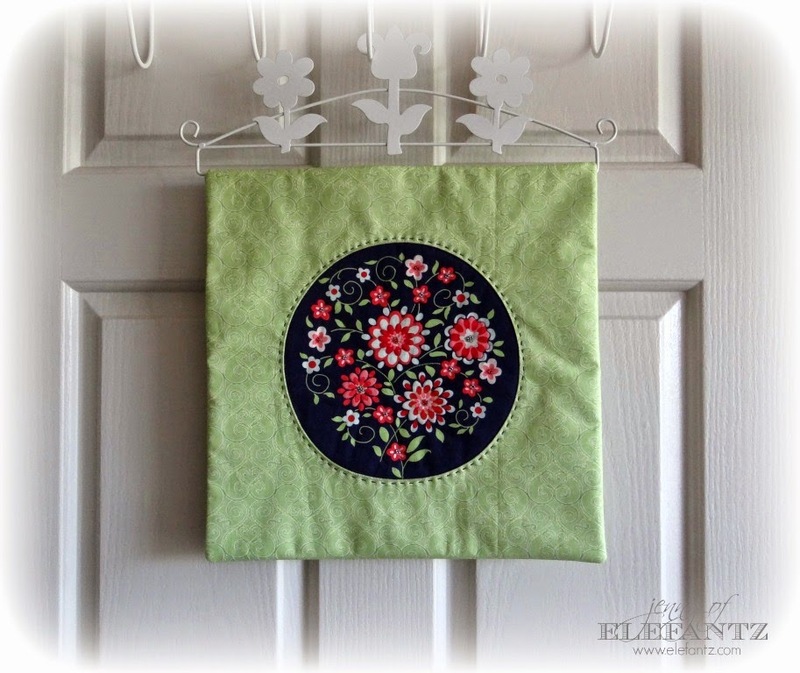 Thank you for the tutorial Jenny, beautiful...its lovely!! Great tutorial. Always wondered how to do that...Thank you. 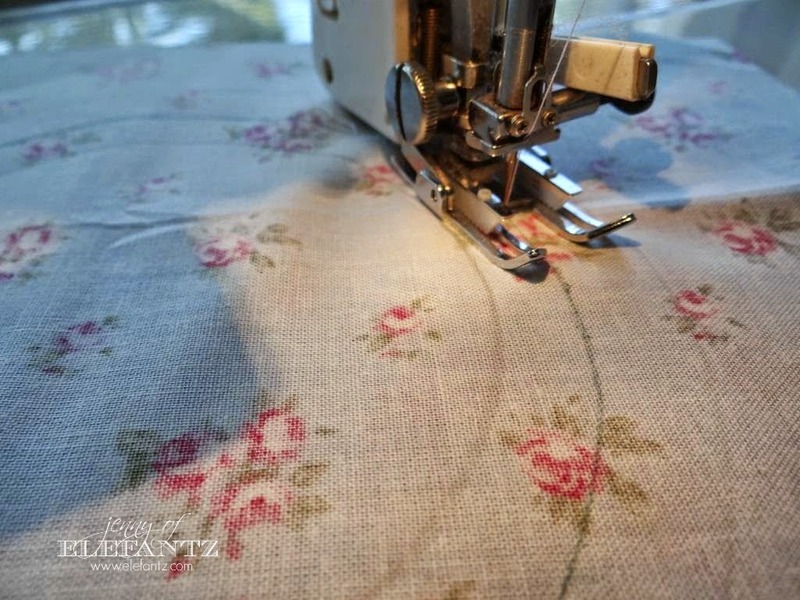 Thank you for the tutorial and the link to your husband's recording. I love listening to his voice with his wonderful accent. Very easy listening and of course very uplifting. Well that looks easy enough for ME to try, lol! Thank you sweetie!!! 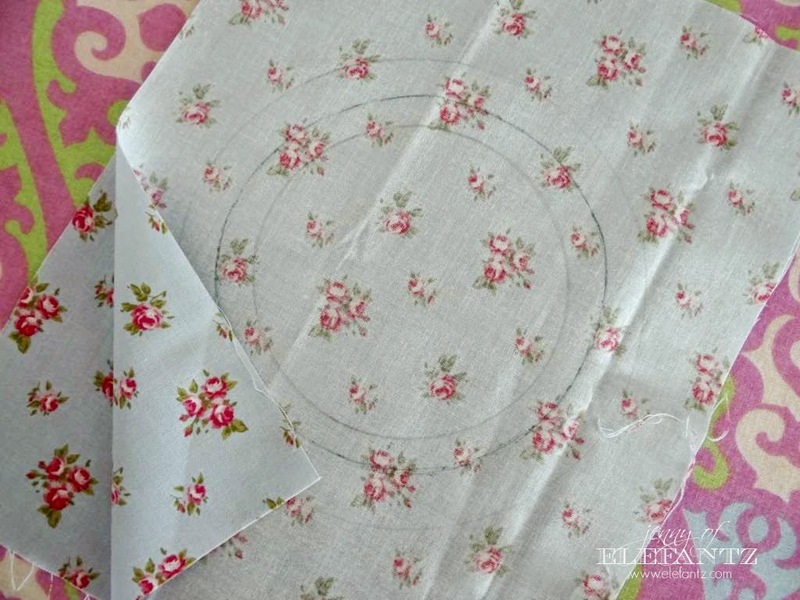 Glad to see this tutorial so others will get inspired. Your blog is wonderful! Olá Jenny bom estar aqui em seu blog. Tenho um site que ensina a distância e começo nova fase com tudo novo. O primeiro ponto, adivinha? Ponto atrás e suas variantes. Não poderia deixar de apreciar seus trabalhos. Muito carinho, muita alegria e perfeição. Breve no site Patchaula daremos crédito desta inspiração. 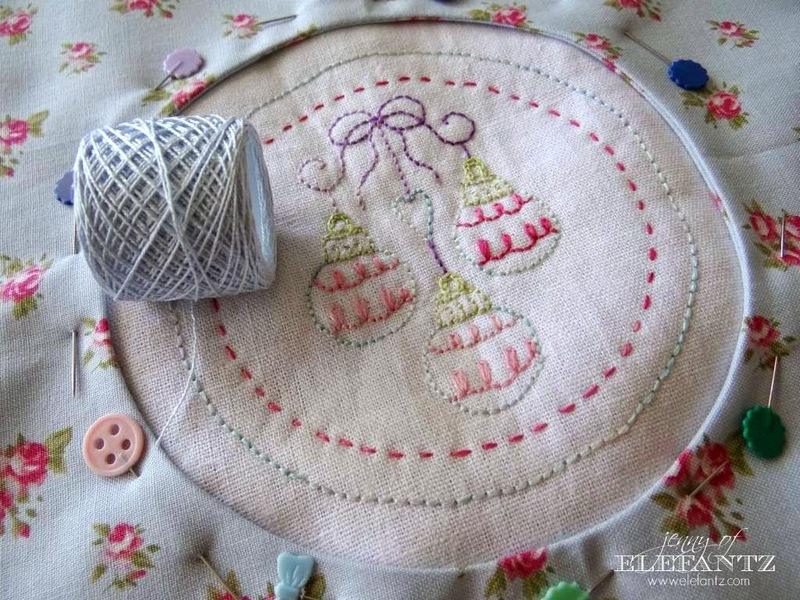 I will be using with Buzz and bloom ...Aprils' Rewind Stitchery club !